With ENABLE Scotland, you are never alone. The support you and your family can access doesn’t stop with our services. We have a network of groups and committees that can help you connect with other parents and families in your area. These channels offer a safe place to discuss and share experiences, as well as discover new friendships. 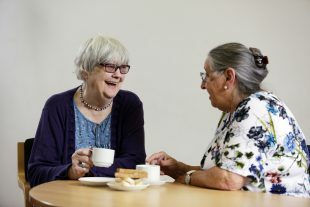 Each of these groups and committees can also offer the chance to become more actively involved in our campaigning work, and speak out on the issues that matter most to you as a carer for someone who has a learning disability.